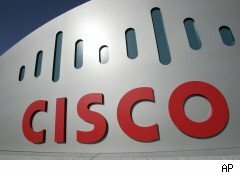 Cisco Is Latest Company to Pay for Overcharging U.S.
Strike another blow against "waste, fraud and abuse" in the federal government. Cisco Systems (CSCO) and Westcon Group North America agreed to pay $48 million to settle charges they paid kickbacks and referral fees to win government business, and then recouped those costs and more by overcharging the government for their services. Even without settlements, those two whistleblowers have triggered the recovery of almost $200 million. Now that whistleblowing is taking off in the wake of the Dodd-Frank law -- one attorney has gotten more calls in the past three weeks than in the past three years, and says the claims appear real -- perhaps taxpayers will see a meaningful amount of their money returned. That's a kind of spending cut everyone can agree on. One of the loose ends to Goldman Sachs' (GS) SEC fraud saga was whether Goldman should have disclosed the SEC's threat of a lawsuit (the "Wells notice"). At least one regulator has decided yes, disclosure was warranted; the U.K.'s Financial Services Administration is fining Goldman Sachs £17.5 million (or $27 million) for failing to notify the agency about the SEC's actions. Reuters notes that the $27 million fine is one of the FSA's largest fines ever. No More Sheriff of Wall Street? Elliot Spitzer was dubbed the "Sheriff of Wall Street," and Andrew Cuomo took up the mantle after him. With Cuomo set to depart the New York Attorney General job to become the state's Governor, the many candidates seeking to replace him are fighting to stand out. Reuters reports that one of them, Republican Dan Donovan doesn't want to be a sheriff of Wall Street. It's not that he wants to give crooks a pass, it's just that he's got a different target: New York politicians. If he wins, which would be unusual but not impossible in the very Democratic state, I can only hope he delivers. There's plenty of state house cleaning to do. When Is Converting a $671 Million Verdict into a $50 million Settlement a Win for Plaintiffs? When the company liable for a $671 million verdict has a market cap of $165 million, it is. Plaintiffs won far more than they could possibly recover from Skilled Healthcare Group (SKH) back in July. Now, they have leveraged that verdict into $50 million settlement -- still a very substantial sum for the defendant company, reports the Am Law Litigation Daily. Above the Law reports that the billable rate clients are charged corresponds to geography and firm size, not attorney experience, type of work or anything else remotely merit-related. But that's not surprising since the same is true for associate salaries. That big law New York first year isn't worth $160,000 on her merits. What is surprising is that clients pay the rates.